Aloe Vera Benefits; Aloe Vera Uses: How to apply Aloe Vera on hair/face? Aloe vera is a plant from which aloe vera gel is obtained. Aloe vera gel is a clear gel that is used for improving different hair and skin conditions. There are also health benefits of aloe vera juice. It's packed with vitamins, minerals, and other healthy nutrition. Aloe vera is used in delaying early signs of aging and can be used as an anti-aging gel. It contains antioxidants, vitamin C and E that repairs damaged cells and provides firmness to the skin. It improves skin elasticity and delays the appearance of wrinkles. For good skin, you can use aloe vera gel twice a day. It's a natural moisturizer that rejuvenates the skin without making it oily and causing breakouts. Instead of causing acne, aloe vera is used in treating breakouts on the face. You can check best aloe vera gels in the post; '10 Best Aloe Vera Gel in 2019'. It's good in healing and heals skin from sunburn. It has inflammatory properties that reduce skin redness and relaxes it. Aloe vera is used on curing skin wounds and stretch marks. It contains two hormones 'Auxin & Gibberellins' that encourages wound healing and treating acne. Gibberellin (Hormones) helps in repairing the cells thus helps in promoting good skin. You can also check post, 6 Tips to Treat Face Blemishes for treating face blemishes. Aloe vera can be used for good hair growth. It contains fatty acids that have anti-inflammatory properties. It can reduce hair dandruff and maintain scalp PH. It also protects hair from sun damage. Aloe vera contains vitamins that promote good hair health. These vitamins are vitamin A, C, E, and B12. They help in cell growth and stop hair from falling. It can also be used for hair conditioning. Aloe vera uses for increasing blood circulation to an area. When you apply it alone or use a hair mask, it contributes to increased blood circulation on the scalp thus making hair stronger and healthier. Also, it's important to first check aloe vera sensitivity on your skin by doing a patch test. There are incredible health benefits/uses of aloe vera juice. Aloe vera is used for providing alkalinity to the body. An acidic body prone more to diseases. Aloe vera juice helps in balancing body PH. You can check different recipes of aloe vera juice on the post, 'Aloe Vera Juice Recipes'. Also, eat foods that are alkaline in nature like some vegetables and fruits for good health. Aloe vera juice helps in the detoxifying body by providing necessary hydration. For a good kidney and liver function, it's important to have the body well hydrated and Aloe vera juice is better in providing it than other liquids like coconut water. Health benefit of aloe vera juice includes hydration of intestine. For constipation, it's good to drink aloe vera juice because it contains water content that provides hydration to the intestine. Because of water content and phytonutrients, Aloe vera juice is good for a better liver function. Aloe vera may reduce the appearance of nasty acne. 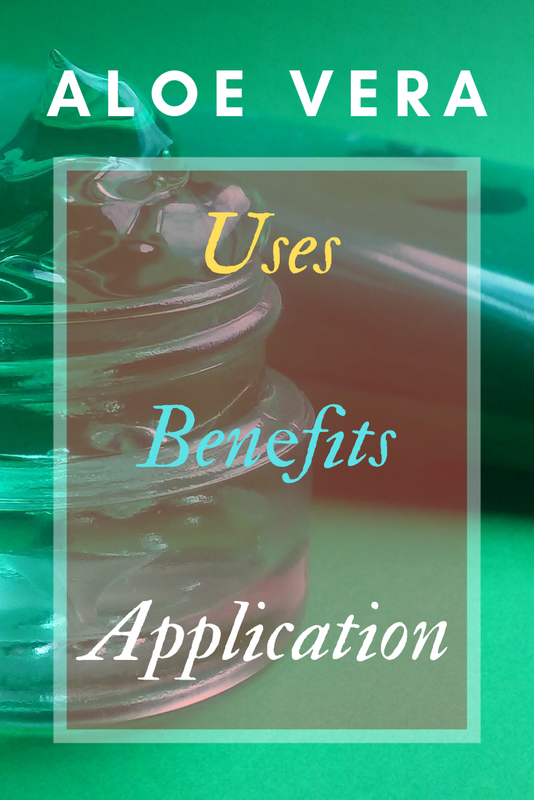 Its antioxidant properties help skin in healing and give it a more supple look. It maintains the immune system and lowers the risk of cancer. You might be happy to know that it's also good for reducing cholesterol level in the body and improves blood sugar level. Aloe vera uses for maintaining good oral health and it also heals hemorrhoids. How to Apply Aloe Vera on Hair/Face? First cleansed your face. You can use a simple cleanser and then an exfoliator. After cleansing dry face. 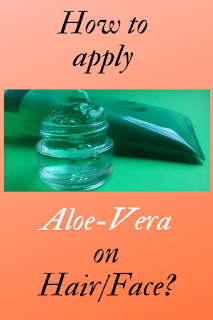 Gently apply aloe vera gel with your clean fingertips on the face in circular motion and allow it to dry on the skin. For good skin, you can apply gel more than once per day depending upon your skin type. Some people might be allergic to it so it's better to first test it on your wrist then apply on your face. If you don't want to cleansed skin then you can just do a face wash before applying aloe vera gel on the face. People having strong skin can apply aloe vera gel every night but the best is to apply in the morning and then clean it in the evening or vice versa. Avoid leaving it on the skin every night. 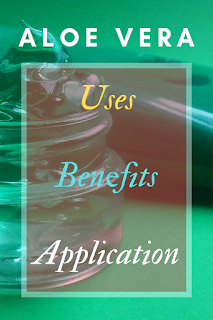 After each application, you can either clean your face after 30 minutes or leave it (depending on skin). If you see redness and irritation on the skin then stop using it. Generally, people aren't sensitive to it and can see a good skin just after a few applications. Aloe vera can be used for hair conditioning. You can even make a hair mask and apply it on your hair. For hair mask recipe, you can check post; 'Vitamin E for Hair' or you can mix aloe vera gel with any hair oil that you use. Leave this mask on hair overnight or at least an hour before washing hair with a shampoo and conditioner. Aloe vera repairs damaged hair and give it a smooth and shiny look. Ako Vera is really incredible and does wonders to my natural hair and its curl pattern. As for the face I apply it as a serum sometimes or make it into a mask. This is great! I have known about some of the benefits but never really used aloe vera. Lots of potential!! It is still necessary to talk about Aloe Vera and you do well! Although its beneficial properties are known there are still those who do not know them! I find it an ideal plant to calm redness and any skin problem. Aloe Vera is such an amazing plant isn't it - I actually have one in my home and when a stem broke I was amazed at the sap that came out of it. I really need to start using aloe vera more often! I know it can do so much. I need to pick up some juice. My mum & sis are big fans of using aloe vera - I can totally see why! I recently started drinking aloe vera, and I love it! I agree, it is also great for the skin. Growing up, my grandparents had a huge Aloe plant in the backyard. We used it all the time. I had no idea that aloe vera is so benefit for our body! Amazing! Aloe Vera is so so beneficial and in so many different ways. Skin and hair are the best options to use aloe Vera on. Natural ways are always better!! Wonderful article. Yes I remember my mom used to make hair oil with aloe vera and coconut. I have one aloe vera plant that died last winter. I am going to get a new one. Aloe Vera really has a bunch of benefits. It is actually well known and used. We love using aloe vera on hair! It's also great for the skin and wound healing. The benefits of aloe vera really are so diverse. I've always used after being out in the sun and I've also used the juice at times. Wow! That makes me so amazed! Aloe Vera is so so good to me, as the truth, I am also using this to my hair and face and the result was amazing! I never realized that Aloe Vera was good to ingest. I guess I always thought it was poisonous to us. I'm glad to hear differently. Aloe Vera is one wonderful ingredient and I swear by it for my health. I've used some aloe based skincare and hair products and loved the results. My skin felt so soft and hydrated, as did my hair. Ewww putting Aloe Vera on my hair just sounds slimy! However, I do drink it for the reasons you listed. It really is a great thing to use. I have been thinking about getting an aloe plant for in our home. I could really start using aloe in place of my toner in my routine! This is a great list! I grew up with Aloe Vera plants in our house and used it for first aid, and I currently use AV juice for heartburn. There were several others uses listed that I didn't know about. I'll definitely be using more now! This reminds me of my granny who used to have aloe plants in her house. Whenever I was staying with her, she asked me to use it on my hair and skin. I have used aloe vera juice before for my hair to help it shine a little bit. I have not used it on my face yet but it may be sooner than I think. I do have lots potted aloe vera in my backyard. I use it on my face as well especially after a beach holiday, sometime even just on a regular night as moisturizer. I have used aloe vera based skincare and it did wonders to my skin. I love how it helps moisturizing my skin. I've never used that on my hair, but it sounds like a good idea! This is amazing!! I have always wanted to buy aloe vera plants for its benefits but never knew what I would do with it, nor how I would really be able to apply it.. Thanks! Aloe vera contains proteolytic enzymes that repair dead skin cells on the scalp. ... It promotes hair growth, prevents itching on the scalp, reduces dandruff, and conditions your hair. Aloe vera tends to have a chemical that's almost similar to that of keratin that helps rejuvenate hair, further preventing breakage. 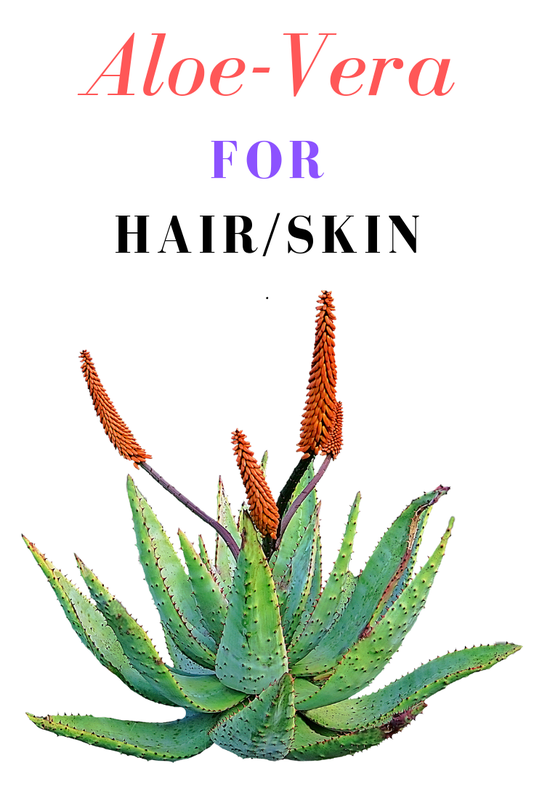 I had no idea that aloe vera had so many other amazing uses such as helping with hair growth. I'll have to give these other uses a try, thanks for sharing! I didn't realize there were so many uses for aloe vera. I certainly had never heard of aloe vera juice. I do know it's so helpful. Great article. I have used aloe vera based skincare and it did wonders to my skin. I love how it helps moisturizing my skin. I've never used that on my hair, but it sounds like a good idea! I have Also tried Aloe Vera for my hair, and it worked like magic, my hair started to grow very fast and also it helped me removing dandruff. your Blog is Very Interesting about best Beauty products which is good for Skin. thanks for Sharing with us, keep sharing more Blog looking for it. And want to know more about Best Beauty Products and Tips then Visit Sleeping Beauty is the best leading online beauty shop. for more Visit here!